Have you ever wondered how you can use digital devices to improve your English? This time Sian shows us some of the most useful digital tools that help you with your English – from checking your grammar and spelling to using office software. Are digital tools and devices just for fun – or can you use them to improve your English? 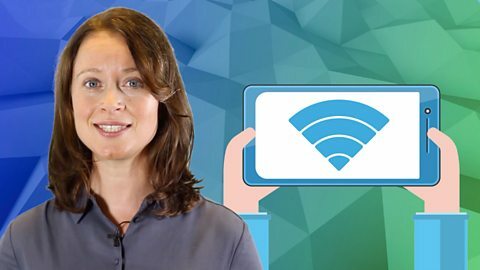 Scroll down to watch as Sian from BBC Learning English explains how to use digital tools to make the most of your English. Sian's going to show us some great digital study tools – but she's made TWO mistakes with her English! Can you spot the mistakes Sian has made – and does she have to accept the corrections her smartphone suggests? Watch the video to find out. Hi there, just finishing off an email… just a second. 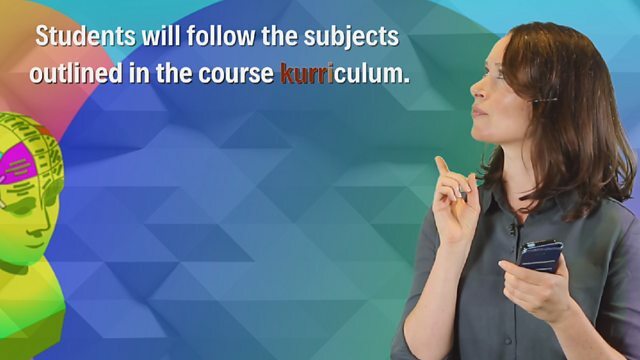 "Students will follow the subjects outlined in the course kurriculum." Hmm… looks like I spelled that word incorrectly. Not to worry - I'll just use my digital spellcheck – Aha, that's the correct spelling: c-u-r-r-i-c-u-l-u-m. What a useful tool the spellchecker is. I would have looked very silly if I sent that email with a misspelled word in it! I remember my old English Teacher, Mr Wordsmith, used to get so angry with me for my spelling! And by sheer coincidence that's what we are going to look at today: Digital tools to help you with your English for studying. We are so lucky to be living in a digital society where we can find lots of useful tools for using languages. There are lots of tools online or built into our digital devices that can help us use language better in our studies. After all, reading and writing clearly is a massive part of your studies, especially if you are using English as a second language. The spell check tool that features in many websites and word-processing applications is really useful. Let's see it in action: I'll enter this word but spell it incorrectly. Ok, so there's an indication that I have got the spelling wrong… so now I can see some suggestions. Yes, that's the correct spelling of the word I want so I'll just select it – and bingo! The word is correctly spelled. If I don't want to accept it, I can ignore it, or even add to the dictionary so it won't happen again. Top Tip: Remember spellcheckers usually have dictionaries for British and American English so make sure you have the right one selected! Next up - grammar checker. See if you can spot the grammar mistake in this sentence. Did you get it? Let's see what the grammar checker says. Yes, that's the problem, so let's accept the correct version. Fantastic! Grammar checkers do sometimes get it wrong, so you may have to check in a grammar book, or on a grammar website. You don't have to accept what the grammar checker says: ultimately, it's up to you. These features are often built into computers, smartphones and word processing software. Now talking of software, here's a useful thing to know. Distance learners often need to use office software. But I often use online software: it's easy to use and best of all free! And your documents are saved online so you can access them anywhere. And you can also let other people work on the same document – great for working as a team with other learners! It's quite usual for distance learners to work collaboratively. There are lots of benefits to this as it helps you plan, share information and check each other's work before submitting. And your documents are saved online, so you can access them anywhere. Just remember to keep your collaboration platforms secure, and only let people you trust have access. There are a few more digital resources you can use to help you with your studies. If you want to find out the meaning of a word, you can use an online dictionary. And if you want to find an alternative word with the same meaning, you can use an online thesaurus. A thesaurus is a book or online database that gives you words with similar meanings so you can vary your language – so useful! And if you want to use language suitable for academic purposes, there are lots of websites to help you with this. They have all the most useful words and phrases you will need to write your coursework. And so until the next time, goodbye – or should I say farewell, so long, see you later, adios! Did you spot the mistakes Sian made with her English? What language errors were highlighted in red text? Which two mistakes did Sian make? Here's what we've learned so far about using digital tools – online and on devices – for better English. Did you spot all seven tips? Spell check tools can be useful for avoiding spelling mistakes – they'll give you an indication of the mistake and make suggestions to correct it. You don't have to accept the spell checker's corrections. You can ignore them or add your word to the dictionary – useful for proper nouns like names! Spell checkers usually have dictionaries for British and American English – make sure you select the right one for the language you're using. You can use grammar checkers to spot other mistakes. Remember you don't have to accept the corrections – check with a grammar book to be sure. Online software lets you work collaboratively with other distance learners and your work is saved online – just keep your online platforms secure! If you don't know the meaning of a word, use an online dictionary to find out. There are many of these available, so you can double check definitions. If you're looking for words with similar meanings, try an online thesaurus. You'll be able to find synonyms to make your academic English more varied. That's all for now. Next time Tim will be here to tell you all about searching for information online. Until then, visit our partner The Open University for more digital literacy tips – just click on the 'Where next?' link.